Retail company Marks and Spencer were recently forced to recall their 600g Chicken and Vegetable Soup after it emerged that the product may have been “tainted” due to chemical contamination. While the chemical in question has not been revealed, Marks and Spencer have stated that they are conducting an investigation into the issue with their supplier. 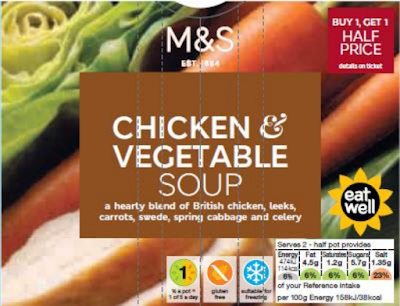 Point-of-sale notices are being displayed at Marks and Spencer stores, informing customers of the recall and the action they should take if they have purchased the affected product.